I’ve kept my eyes open for a Bullitt Mustang if I ever chanced upon one. This one was hanging at ToysRUs a week or two ago, so I picked it up. It’s nice, and definitely something I want to have in my collection. This one is from Greenlight. 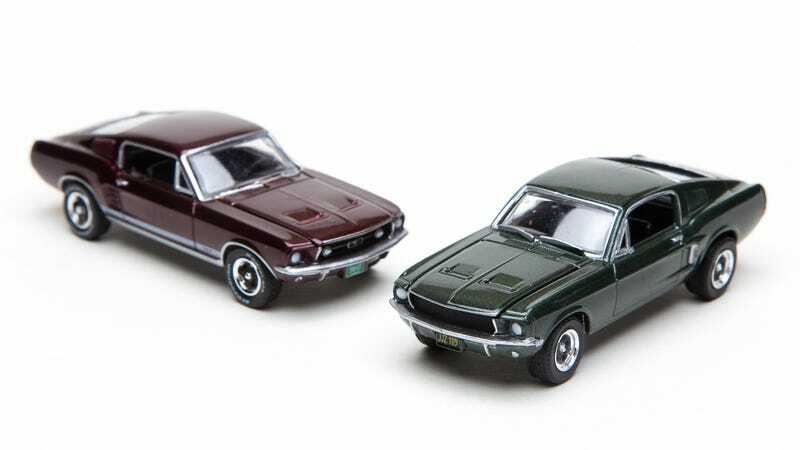 The burgundy Mustang is from Auto World. It sits a little lower, has somewhat better details and really feels great. The blue one I also have resides at work, so it wasn’t around for these photos. I figure Bullitt had his car raised a little bit to handle those crazy approach angles all through San Fran. These two make a great pair, and they’re both solid models.